Congratulations to the following Falmouth HIgh School Varsity Baseball Players for being selected for the American Family Insurance All-USA Maine Baseball Team. Joseph guided the Red Riots to the Class C state title, their first crown since topping Class B in 1994. Orono (14-6) pulled out a thriller in the championship game, rallying from a 3-0 deficit against Lisbon in the bottom of the seventh inning to walk off with a 4-3 win. Peter Kemble, P, Bangor, 6-2/210, Sr. The University of Maine-bound right-hander helped pitch the Rams to their fourth consecutive state title, allowing just one earned run in 53 innings and firing two postseason shutouts. Kemble (7-2) posted an ERA of 0.13 and struck out 78 with just 34 hits and six walks allowed in 53 innings. 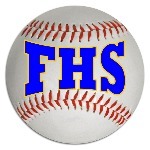 Ryan Twitchell, P, Greely (Cumberland Center), 6-4/180, Sr.
Cam Guarino, P, Falmouth, 5-11/195, Sr.
Brendan Tinsman, C, Cape Elizabeth, 6-2/215, Jr.
Jackson Coutts, INF, Orono, 6-3/235, Sr.
Jake Knop, INF, Portland, 5-8/185, Sr.
Robbie Armitage, INF, Falmouth, 6-0/185, Sr.
Jared Brooks, INF, Cheverus (Portland), 6-3/250, Sr.
Sam Troiano, OF, South Portland, 5-11/180, Sr.
Jarod Norcross-Plourde, OF, Edward Little (Auburn), 6-2/195, Sr.
Josh Joy, OF/P, Messalonskee (Oakland), 6-1/175, Sr.
Jack Casale, P, Cheverus (Portland), 6-4/175, Sr.
Trevor Labonte, P, York, 6-6/185, Sr.
Alex McKenney, P, Hampden Academy, 6-4/220, Sr.
Alex Maxsimic, C, Brewer, 5-11/175, Sr.
Evan Balzano, INF, Thornton Academy (Saco), 6-4/185, Sr.
Zach Nash, INF, Hermon, 5-10/160, Sr.
Ben Nelson, INF, Gorham, 5-10/160, Jr.
Ryan Hoogterp, INF, Old Town, 6-2/170, Sr.
Nate Howard, OF, Erskine Academy (China), 6-1/160, Sr.
Trevor Salema, OF, Traip Academy (Kittery), 6-0/190, Sr.
Reece Armitage, OF, Falmouth, 6-0/185, Sr.